A question I am asked often is "do you photograph newborns?" and my answer to that is always "YES". HOWEVER, I only shoot lifestyle newborn sessions. Usually, I am asked what that even means soooo... I figured I'd answer that question here in case you're not sure. 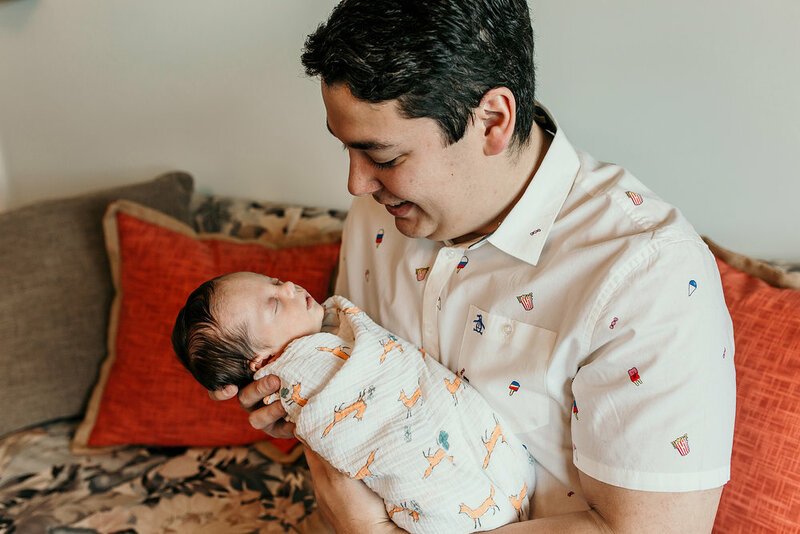 Basically, lifestyle newborn sessions are sessions that are organic, typically in your home, and capture the true, intimate moments between you and your newborn. While I think babies dressed up and/or swaddled adorably in baskets are the bees knees, I, personally, have decided not to capture those types of images for one simple reason: it's not the reason for why I do what I do. If you know me or have heard/read my story, then you know that my first son was a stillborn. Thinking back, it almost all seems like a big blur. I still remember the emotions vividly and I'm sure that will never fade however, so much was happening in such a short period of time and my mental state was in such a haze that I'm sure there are a lot of things (meaning, the little moments) that I don't quite recall. The hospital staff was very kind to still photograph my baby despite the situation and those are images I will forever hold dear to my heart. However, an old photographer friend of mine also came to the hospital as soon as she heard that I had given birth and photographed us with our son... all of our emotions... and captured those moments forever through her images. After coming home empty-handed, I sat at my computer and edited all of those images which, much to my surprise, was cathartic instead of depressing and the process truly helped me personally through my grieving process. Through those images I didn't see loss. Instead, I saw love. I saw God's work. I saw a tiny little human and I also saw (and felt) all the emotions we will forever hold for him. It was those images that truly defined why it is that I do what I do. I don't photograph just to make things "look cute". I photograph to capture the true beauty in life's everyday moments. And that is exactly why I only specifically photograph newborns through lifestyle sessions. I want to capture for my clients those fleeting moments. If you have children, you know just how quickly time flies! 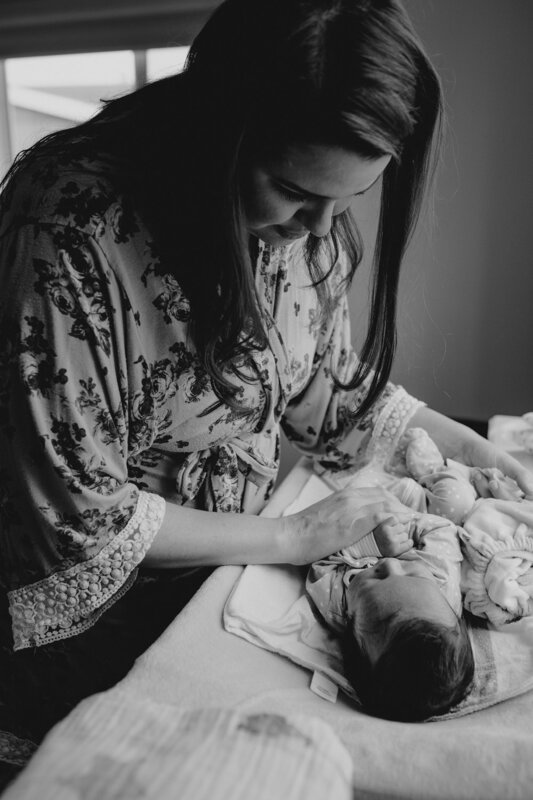 I experienced that with my second-born (my miracle baby) and that's why it is so important to me to provide my clients with images of those beginning stages - those moments that come, are so sweet, yet are also so short. I can only do that through these types of sessions. So... when I am trusted to document such a special time in a couple's life, I thank God for giving me the opportunity to bless a family in such a special way. 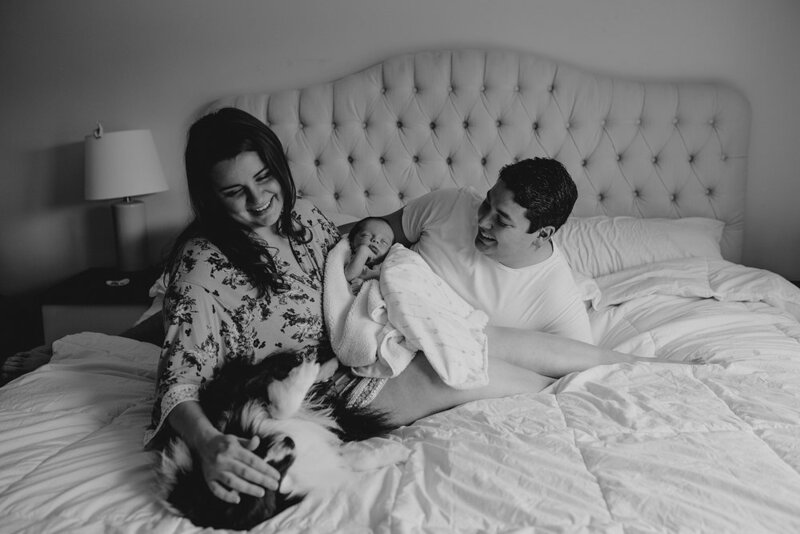 Below, I am sharing one of my most recent newborn sessions with an absolutely amazing couple. They are sweet, down-to-earth, and just lovely. And, together, they created one adorable little human.